‘Gimmick’ is a word with a lot of connotations, almost all of them bad. A gimmick is often something tacked onto a product to make it seem unique or to boost sales. Discover: Lands Unknown is a survival and exploration board game from Fantasy Flight Games that has the gimmick of each version of the game sold being completely unique from every other version. Does this make for an interesting game? The short answer is a resounding: no. 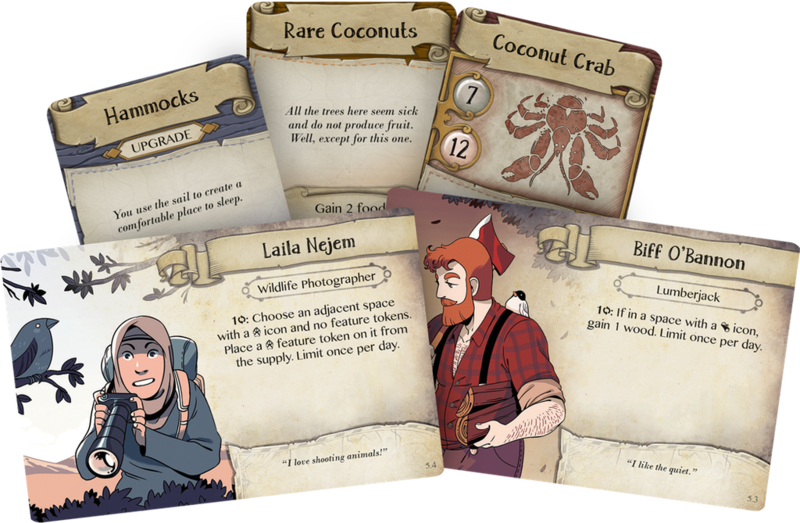 Discover: Lands Unknown was designed by Corey Konieczka and is about an adventurer or group of adventurers getting lost in the wilderness and having to try and make their way home. Rather, it’s actually about an adventurer or group of adventurers actually waking up in the wilderness with no memory of how they got there. From there they must explore the unknown landscape and figure out what the bloody hell is going on. 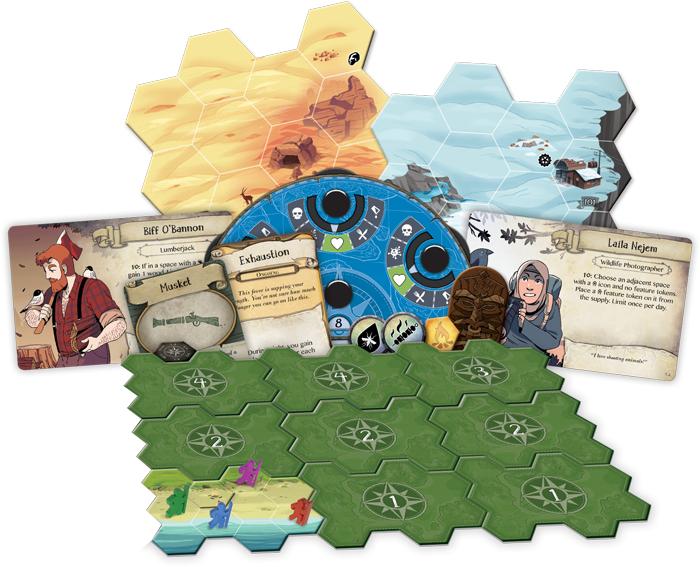 The unique elements in Discover: Lands Unknown come in the form of cards and map tiles. Each box features a different combination of two terrain types; for example, snowy mountains and grassy valleys. 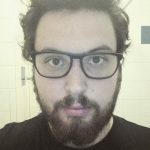 You also receive different item, exploration and monster cards depending on your terrain types, and these define the monsters that you’ll come across, as well as the different story beats that you might experience as you play. 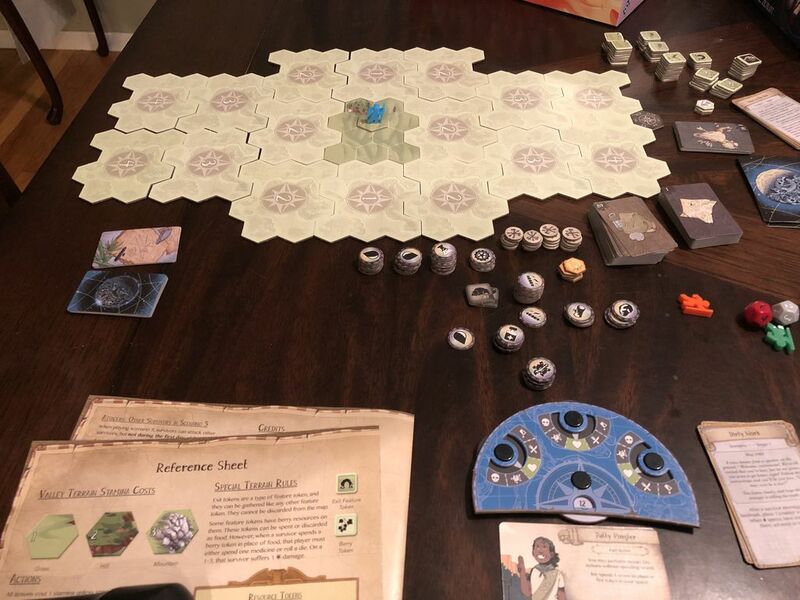 These unique elements present us with Discover: Lands Unknown’s first problem. The first time that you set up the game, you have to dig through the different packs of cards to find the right numbers of cards for the first game scenario. This is especially annoying because the cards are neither packaged by their card type nor their number nor the scenario that they belong to. Okay, so the way it’s packaged is annoying, but at least once you’ve gotten your first game set up, you can repackage the components in a way that actually makes sense to a human being. 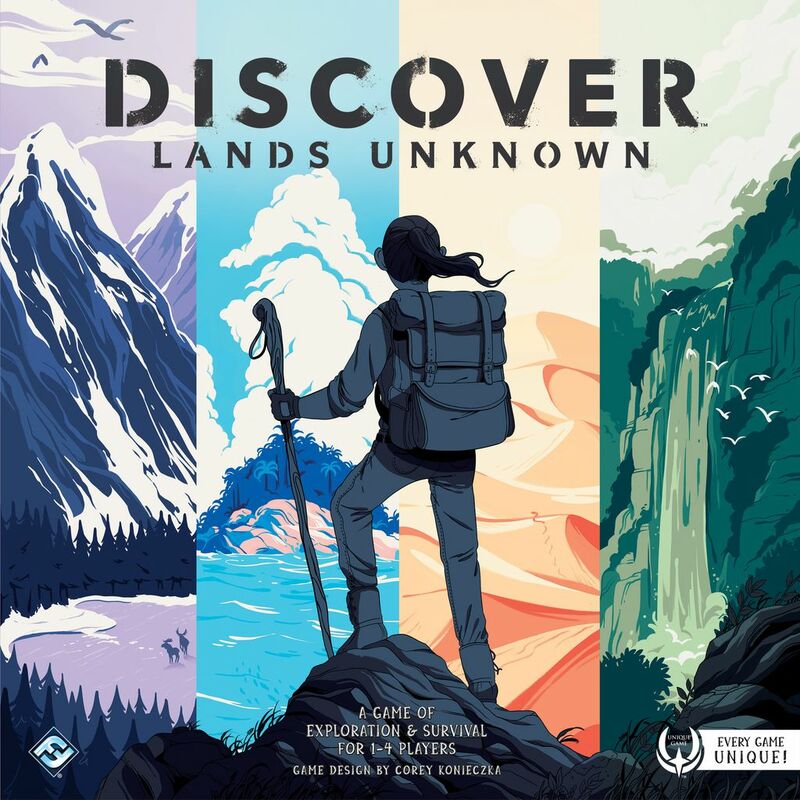 The way that Discover: Lands Unknown is packaged is at least a passing inconvenience, even if it does turn the first time set up into a test of attrition that some people might not make it through. The gameplay mainly focuses on exploring the tile-based map, gathering resources for your survival, such as food and water, as well as attempting to uncover some sort of route out of your sticky situation. On your journey you encounter specific landmarks, as well as resource locations and enemies. The landmarks are your way of progressing the story. When you uncover a map tile by flipping it, you might reveal a numbered landmark. Then, if you move your piece to the landmark, you can interact with a card that will often further the story or at the very least detail some sort of encounter in the wilderness. The actual core gameplay of Discover: Lands Unknown is pretty fun and interesting. 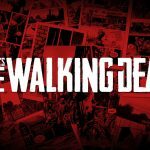 It’s a decent take on the survival genre, which has been done to death in video games over the past decade. The one thing that it does have going for it is that it has an end goal, and this end goal is pretty attainable. Most survival games are simply about surviving and escaping without much of a story to tie things together. Unfortunately, the core gameplay is pretty much the only good thing about the game. 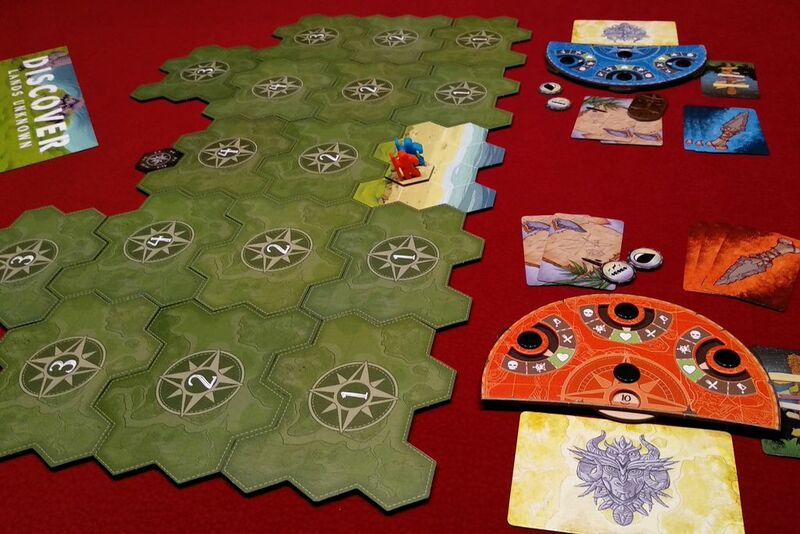 The story of Discover: Lands Unknown is pretty wishy-washy. It’s not clear if the story is part of the game that changes for each version of the game, but if it is, then that might explain why it doesn’t seem to fit the themes that the game tries to set out with its artwork. We’re going to keep this review spoiler-free, but suffice it to say that the story is not what anyone might expect and not in a good, ‘keep you on your toes’ sort of way. The other issue that the story side of things presents is on an individual scenario basis. A lot of the scenarios had a pretty underwhelming ending, the worst of the lot being the first one. Again, no spoilers, but the first scenario ends with a battle and has no story or flavour text to tie things up again at the end. You’re expected to just start the next scenario without any real sense of closure. With regards to the art in Discover: Lands Unknown, things seem to be pointing in a clear direction. There are a lot of pale pastel colours used on the box and across the different landscapes, and the characters are all designed with soft lines and good use of colour. Everything feels relatively bright and airy, and a lot of the artwork feels reminiscent of something that is sort of difficult to put your finger on. The art is all consistent and looks purposely designed, which is good. The only issue is that the consistency doesn’t really manage to make its way to the story, which is at odds thematically. The components are mostly well produced. The card stock is good, the artwork is well printed and doesn’t look likely to peel and there doesn’t seem to be much in the way of manufacturing issues. Having said that, the massive number of token sheets were a little prone to bending as they were being popped out, which was some cause for concern. The other slight negative point are the custom meeples included. 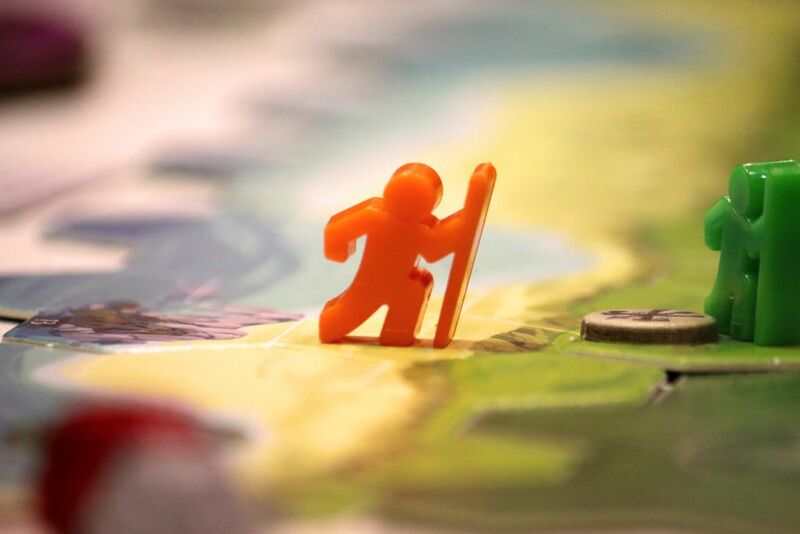 They’re different to ‘standard’ meeples and have huge walking sticks, so they fit with the game’s style, but they’re so thin that they fall over far too easily. This wouldn’t be an issue if having the characters lie down is supposed to indicate a status ailment in the game. 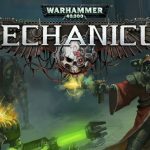 The real issue to discuss here revolves around this question: “How much of the negative elements surrounding the game spawn from the fact that it tried to be ‘unique’?” That’s something of a difficult question to answer. The tile sets and cards are all specific to individual games, but that may or may not extend all the way to the story. The experience, on the whole, just feels like it would have been better off as a crafted experience instead of trying to force a unique one as some sort of massive gimmick to push sales figures. Regardless of the cause, Discover: Lands Unknown has ended up being profoundly disappointing. The gameplay itself is at least well crafted, and honestly, if you go into the game not expecting a decent story, you might just end up enjoying it in the end. It’s just such a shame that the game could have been much more if it was more minutely crafted. As it stands, it’s just an example of the difference between gimmicky game design and great game design. Discover: Lands Unknown is an interesting experiment into the idea of a unique board game that just goes to show that a lot more work into the concept will be needed before it is actually ready for prime time retail. The core concept is solid and could have been really interesting if it had been put into a game that had been carefully designed and crafted around the experience. In the end, all we've been left with is a massive disappointment that could have been so much more.